To use emerging blockchain technology to decentralize the digital music disribution industry and provide opportunities for artists to earn income and to further their career for little to no cost. We will begin architecturally and technically decentralized and logically centralized in order to build the user database and monitor functionality. Over time, the platform will evolve to become fully decentralized and controlled entirely by the Digital Currensy Community. The founders realized that the current, monopolized system doesn't offer equal opportunities to all arists and highly favors the corporate middlemen. Without artists, there would be no music and Digital Currensy believes that each artist should receive the maximum value from their work instead of paying large amounts to intermediaries. Digital Currensy will use the Ethereum platform and smart contracts to ensure secure, efficient payments that surpass industry standards and create the opportunity for effective crowd funding. Digital Currensy Cash (DCC) will be created, distributed, rewarded, and used for all transactions within the platform. DCC also gives music consumers (fans) the chance to get involved by directly supporting their favorite artists. Digital Currensy intends to disrupt the music industry by creating a platform for artists to maximize content monetization and conduct community based PR campaigns, while involving fans in the music creation and distribution process for the first time. A Smart Music Marketplace (SMM) will give the opportunity for creators to connect directly to other users to buy and sell music related content and services. The community of Digital Currensy users, including fans and artists, will be responsible for approving content uploads and have the opportunity to share content in "micro marketing campaigns." Nearly all activities within the platform are rewarded, which gives incentive to the community to continuously engage and share. We will create a dominant cryptocurrency to pay for musical content and services, and use blockchain technology to make transparency commonplace. By removing the corporate middlemen and using smart contracts to automate the distribution process, transparency and efficiency are built into the framework. The use of cryptocurrency will streamline payments to and between artists and involve fans directly in the music industry for the first time. More profit will be allocated to the musicians and increased automation leads to lower overhead, which means professionals can dedicate more time to marketing and PR for breakout stars. Blockchain is the framework that makes everything possible for Digital Currensy. This is what will allow us to create a transparent royalty tracking system in addition to providing streaming and sales analytics in real-time. Our platform/dApp will be built on a blockchain and files will be stored on a blockchain. It is nearly impossible to hack into or alter data or transactions stored in a blockchain system. Artists can customize the way they release music and fans can get involved; all securely and efficiently. 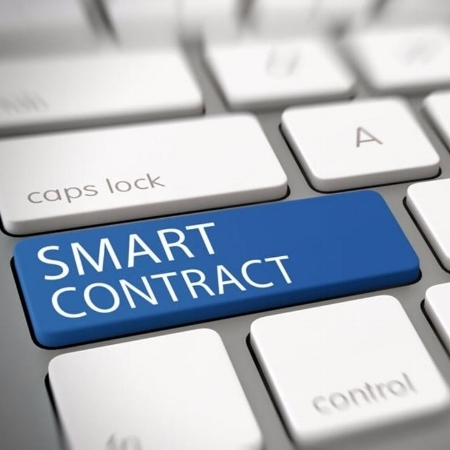 The Digital Currensy platform, dApp, will be the framework for smart contracts to be built and executed. In addition to release customization, smart contracts will enable users to make payments/donations, store data, vote, buy/sell content and services, and create unique parameters for every transaction. Questions about Digital Currensy? Send us a message and we will answer your questions as soon as possible. Thank you for your interest in Digital Currensy! Someone will respond to you shortly.